What are the basic principles of nonprofit governance? 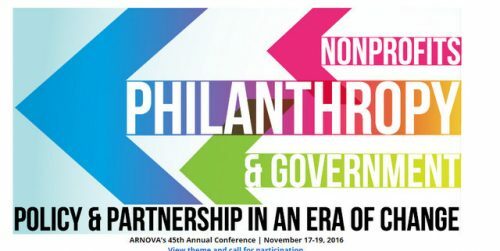 Friday I attended an ARNOVA colloquium called A Pluralistic Perspective on Nonprofit Governance: How should context be taken into account? Four non-US academics cautioned us to think about the many factors that influence how governance is practiced in civil society organizations. They hailed from the UK, Southeast Asia, Reunion and Sweden. Ola Segnestam Larsson of Ersta Sköndal University College asked the provocative question I repeated at the opening of this post. A question yes, but really it was a challenge. What are the principles that guide governance in our organizations? Does our approach to governance flow intentionally as an expression of those principles? For example, we’ve all learned that boards act as fiduciaries. Fiduciary embodies the principle of stewardship, or having in your care something you don’t own. This fiduciary role requires the duties of loyalty and care in making decisions. Behind the duty of care are the principles of reasonableness and prudence. Yet, the principle of stewardship is likely not enough to sufficiently guide your governance practices. Some nonprofits place high value in being democratic. If so, it’s very likely that your organization would spread the ability to influence decisions beyond the board. At Amnesty International USA members have the opportunity to propose and debate policy at regional meetings, at their annual general meeting and in the international body. In the colloquium, Ola Larsson suggested other principles at play, such as independence and transparency, He did not suggest that there was one prescription for what those principles should be. If you were to describe the principles of nonprofit governance guiding your board’s practice, what would they be? Would all directors agree? I’m hearing you say: but we have articulated our values as part of our strategic planning. Yes, that may be a starting place. But do those values translate to the way you approach governance? I know I’m going to start this conversations with the boards with whom I work and serve.